Understand the difference between a pillow top and Euro top mattress and learn which one is right for you. Understand the difference between a a pillow top and Euro top mattress and learn which one is right for you. Many mattress manufacturers use “pillow top” and “Euro top” interchangeably, but the truth is there are many notable differences between these two types of mattress tops. Review this guide to learn more about the pros and cons of each and what makes the DreamCloud Euro top mattress unique. If you’re looking for a luxury hotel experience, a Euro top mattress is the perfect choice for you. Euro top mattresses are a plush combination of soft and supportive material, and they are also excellent for those who struggle with any sort of back or neck pain. Euro top mattresses tend to be softer than pillow tops, and they are also stitched right in to the top layer of the mattress making them flush with the edge. Euro top mattresses are generally very similar to pillow tops, but they tend to be more premium when it comes to high quality materials and more technical design. With a Euro top mattress you will feel much more support towards the edges because the topper has a panel on the side of the mattress that makes it flush to the rest of the mattress and does not have a “flap” or indentation like pillow tops do. A pillow top mattress has a soft, stitched-on topper to the mattress that is meant to feel softer than a normal top. Pillow top mattresses are generally built in two parts: the pillow top section that looks like it sits on top, and the support section on the bottom. The support section is generally made of supporting foam, spring coils, or a mixture of both. The pillow top is typically made from either latex, polyester, or memory foam. Though comfortable, there are drawbacks to pillow top mattresses that are important to consider before making the investment. Because of the soft cushion of a pillow top, there tends to be some compression that happens after only a few years of sleeping on the mattress. Sometimes spring, latex, or memory foam mattresses can be flipped in order to increase their lifespan, but this usually is not the case with a pillow top mattress since it is usually just one side that has the pillow topping. The mattress can last between 8 and 10 years, but the upper layer usually compresses a bit sooner, meaning you may need to replace a pillow top mattress after only a few years. Lays flush to the rest of the edges of the mattress with no gap. Has a pillow-like structure that is separate from the base layers, but is attached by stitching. Around 3 inches remaining flush to the bottom layers. Around 1 inch with a gap between. Very soft in the center and firmer around the edges. Tends to last longer and is more durable than a pillow top. 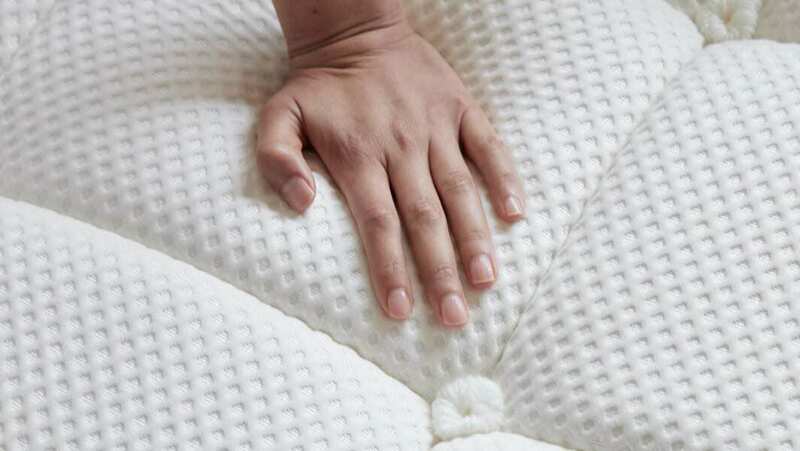 Starts to lose pillow top and compresses or becomes flat. Improved edge support because it comes flush with the side of the mattress. Here are some circumstances where you might want to select pillow top or Euro top. You want a mattress that has a medium plush feel, meaning that it resides in that “just right” zone where comfort meets support. You are interested in a mattress that lasts for the long haul and that won’t need replacing after the standard 8-10 years of use. You want something that will keep its shape, softness, and contouring ability. You want something that is worth the price that you’re paying, even though Euro top mattresses tend to be less expensive than pillow top mattresses. You want a mattress with great edge support. You want to feel like royalty when you sleep. You are interested in a softer mattress that feels like a big, fluffy, pillow. You don’t mind flipping your mattress around occasionally in order to increase its lifespan. You are planning to replace this mattress when it starts to compress after 8-10 years or so of use. You have or are willing to buy special, large sheets that fit over a pillow top mattress, because they tend to be much thicker than traditional mattresses. You don’t mind paying a bit extra. You tend to sleep in the middle of your mattress and don’t need much edge support. Many popular review sites rave about the durability and structure of Euro top mattresses saying that they are “ideal for side sleepers” because they are “great for dispersing the pressure while supporting your body weight and conforming to the shape of your body” (www.sleepbuffs.com). Reviewers also explain that Euro top mattresses tend to last longer than pillow top mattresses. The popular review site Best Mattress Reviews tested both pillow top and Euro top mattresses and found that “the pillow top has a lesser lifespan as compared to the Euro top.” This is largely due to the gap that exists between the top layer and the bottom comfort layer, because the top layer starts to deteriorate and compress much faster than the Euro top top layer, which is fully attached to the comfort layers. Not only do Euro top mattresses traditionally last longer than pillow top mattresses because they are more secure in their construction, review sites also explain that pillow top mattresses have problems with heat retention, require “at least twice the maintenance” compared to Euro top mattresses, and they may even cause back pain as a result of their deterioration (www.sleeplikethedead.com). Pillow top mattresses are much more likely to sag and compress after multiple years of use, which “can undermine support and possibly cause back pain as a result” (www.sleeplikethedead.com). Lastly, popular review sites explain that purchasing a pillow top mattress may be inconvenient because you may also need to purchase larger sheets that fit the thicker sized mattress. Reviewer, www.bestmattress.reviews, explains that “even though [pillow top and Euro top mattresses] provide you with the same level of comfort and plush…[pillow tops] will require slightly larger bed sheets” since they are generally thicker than Euro top mattresses. “The same padding level is found in Euro top but due to the absence of extra space, its size is not large” (www.bestmattress.reviews). A split mattress is a mattress that is made up of two separate mattresses that work independently from each other. It works well with an adjustable base if you and your partner like sleeping at different levels. What is a tight top on a mattress? A tight top on a mattress means that it does not have the extra layer of cushioning that a pillow top, box top, or Euro top mattress has. Instead, there is a thick layer of upholstery-like fabric that stretches across the top. These mattresses tend to be firmer than a pillow top or Euro top mattress. What is a medium plush mattress? A medium plush mattress is a mattress that fits right in the middle between that soft, sinking sort of feel, and a firmer, harder sort of feel. Medium plush mattresses provide a nice amount of comfortable softness as well as uplifting support. Whether or not a pillow top mattress is good for you all depends on what sort of comfort and support level you are looking for. Pillow top mattresses tend to sink and compress after the first few years of use and they also do not have the best edge support. 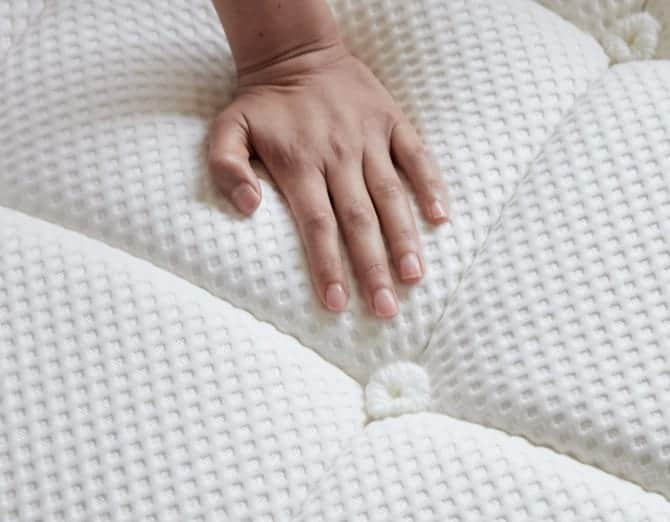 One of the defining characteristics of a pillow mattress is that they are attached by stitching, but still have a flap around the edges that is not completely attached. When shopping for mattresses it’s important to take these things into consideration. Can you turn over a pillow top mattress? Generally you are not able to turn over a pillow top mattress because they only have the pillow cushioning on one side. Turning over the mattress would not really make sense, because the side with the pillow topping is supposed to be the side you sleep on. How do you rotate a pillow top mattress? If your pillow top mattress does have a pillow topping on the other side as well, you can completely flip it over. Experts recommend doing this about every three months. You can also rotate the mattress 180 degrees once every month to try and prolong its life. This would, ideally, make the compressing less of an issue over a longer period of time. What does a pillow top mattress mean? A pillow top mattress is a mattress with an extra soft additional layer on top. It is not fully attached to the bottom layers of the mattress, which makes it really look like one big pillow that is sitting on top of the rest of your mattress. A pillow top mattress generally lasts 8-10 years but the pillow top layer itself lasts only a few years before it starts to compress and lose its fluffiness.